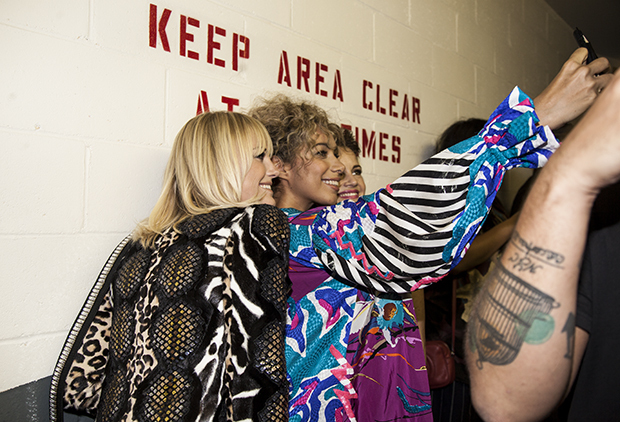 Actress MALIN AKERMAN , singer LEONA LEWIS and CARLA GUGINO having fun backstage the MARC JACOBS show, held at the HAMMERSTEIN BALLROOM in NYC this afternoon. 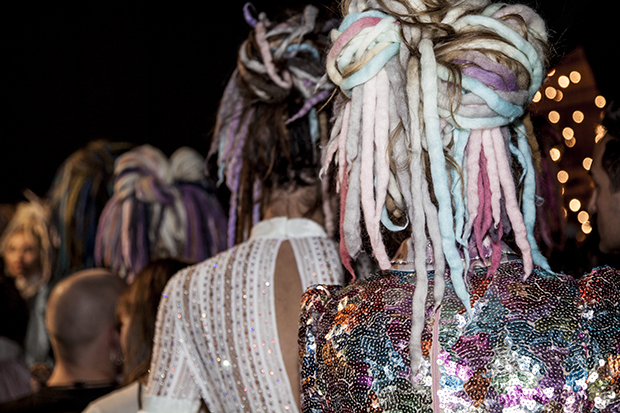 A cross between the japanese cartoons and the craziest nightclub in IBIZA was sort of the theme at the MARC JACOBS SS17 show, lots of glitter, pastel multicolor dreadlocks and beautiful girls. STELLA MAXWELL wearing the clubbing style hair by GUIDO PALAU and makeup by FRANCOIS NARS.